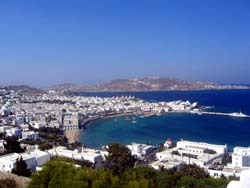 The presented room availability, rates and discounts are actual and final for all our 107 hotels in Mykonos City. The island lacks taxis as well. In evening one can wait for a called by phone car for hours and catching a free car in the street is totally impossible. Tourists are recommended to think over the touring and entertainment plan in advance and in the evenings tourists should better set to the entertaining centers and restaurants which are set close to the hotel they stopped in. The most favorable season for beach recreation is considered to be the period from the middle of spring till the middle of autumn. 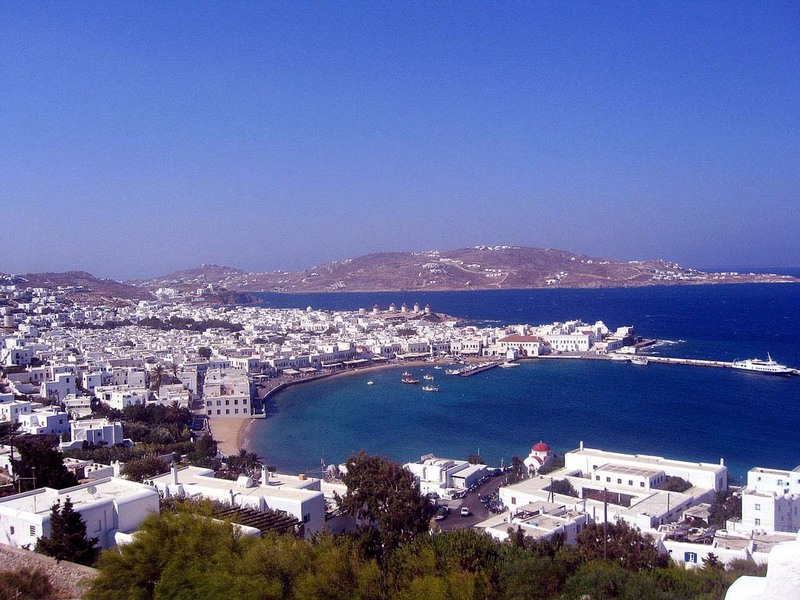 Tourists looking for numerous tours and excursions should avoid visiting Mykonos in summer as the extreme heat will sufficiently edit the plans for cultural education. Purchases should better be paid in national currency. The currency can be exchanged either in banks and post offices or in private currency exchange offices. The most profitable rates for currency exchange are offered in banks meanwhile post offices and private exchange services charge considerable transaction fees. Banks and other governmental institutions work each day n weekdays from 8 am till 2 or 3 pm. A shortened working day is considered to be Friday as the establishments can close an hour earlier than usual. Restaurants, taxis and hotels welcome tips. In restaurant a 10% addition to the total sum of the order will be quite enough, the same cash reward will be waited by taxi drivers. Hair stylists and hotel maids will be enough 1 Euro reward.